Yachad Ministries is dedicated to proclaiming the Good News of Yeshua (Jesus) both locally and abroad to Jew and Gentile alike, as Yeshua commanded us to "go into all the world and preach the good news to all creation" (Mark 16:15). In 1998, we produced a Messianic Festival in Rosario, Argentina. Through music, Davidic dance and sharing the Gospel we helped to bring over 1,000 new souls into the kingdom, many of whom were Jewish. Yachad Ministries also focuses on the restoration of Israel and the Church by teaching on a variety of subjects aimed at helping the Church understand its Jewish roots in the Messiah. Included in these topics are "How to Witness to the Jewish People", "Revival Among the Jewish People", "Celebrating Yeshua in the Passover", and "End-time Prophecies", just to name a few. Yachad Ministries is a non-profit organization, which relies on the prayers and financial support of people like you. Please prayerfully consider becoming a regular contributor to this ministry. All gifts to this ministry are tax-deductible. May God richly bless you. Born and raised in a Jewish home, Rabbi Solomon accepted the Jewish Messiah Yeshua into his heart through the love and concern of a Christian friend. He is the founder and president of Yachad Ministries, Co-founder and Rabbi Emeritus of congregation Beth Hallel, one of the nations largest massing Jewish Synagogues. 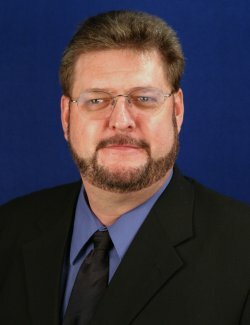 He currently serves as chairman of the IAMCAS, a network of Messianic Jewish Synagogues and Fellowships Internationally. Rabbi Solomon is a pioneer in the Messianic Jewish movement. He has also been invited to the UN to share his insides on various subjects. he is a sought after speaker nationally. He has a diploma from the Institute for Jewish Christian studies, and Dallas Texas. He also graduated from Bible School, and he is currently enrolled in the Messianic Yeshiva Studies. 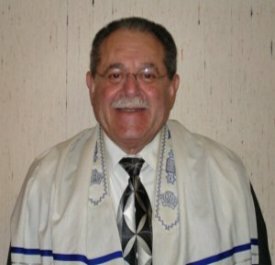 He has been a member of congregation Beth Hallel since 1997, and has been a part of Yachad Ministries since 1999. "Israel, Palestine and the Middle East"
Find out what God has to say about the conflict between the Palestinians (Arabs) and the Jewish People. Scripture has a lot to say on this subject. The beginning of this conflict, and the ending of it, comes as no surprise to those who study the Scriptures. God has commanded the nations of the world to comfort His people. Those who bless Israel shall be blessed. Those who curse her (or seek to divide her) shall be cursed. "Israel, the Church and End Time Prophecy"
Gain insight into God's plan for Israel and the Church, while learning about your Jewish roots and heritage. Significant prophetic teaching on God's plan for Israel, how it is being fulfilled today, and the implications for believers worldwide. "Messiah and the Passover Seder Demonstration"
This teaching demonstrates a beautiful picture of how the pieces of God's salvation plan fits together and how the elements used in the Passover Seder point toward the Messiah. The presentation culminates in an explanation of how the Lord's Supper was a Passover celebration. Many pastors choose to use this as an occasion for a very special celebration of the Lord's Supper. "Celebrating the Biblical Fall Feasts"
The Feasts of the Bible are rich with significance. Some are joyful, some solemn, but all point to Messiah. Understanding the meaning of these Feasts and learning to celebrate them can enrich the lives and experiences of all believers. "Why and How to Witness to the Jewish People"
God still has a plan and a purpose for His chosen people. He has also commanded us to minister and witness to the Jewish people. This teaching will assist you in understanding your role in God's plan for bringing His people to Him. Hear how God is opening the hearts of Jewish people and how He is revealing Himself once again to His chosen people.